Our family general dental practice was established in 1980. Our clinic is clean, bright, modern and fully digitized. Give us a call and we'll give you a reason to smile! A dental laser can be used to help speed up the healing of cold sores and canker sores. Minimizes bleeding because the high-energy light beam aids in the clotting of exposed blood vessels. Wounds heal faster and often post-operative pain is minimal, or non-existent. Got Question? We have answers! Veneers, Crowns and bridges are laboratory fabricated prosthetics that are cemented onto teeth to help protect teeth and improve the overal appearance of a tooth. Veneers cover only the outside surface of a tooth, while Crowns and bridges cover or "cap" the whole tooth. Crowns cover only one tooth, while bridges are commonly used to fill in a space if you're missing one or more teeth. Dental bonding is a procedure in which a tooth-colored resin material is applied to the teeth and hardened with a special light, which ultimately "bonds" the material to the tooth to restore or improve person's smile. 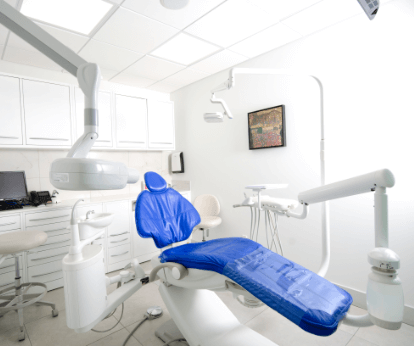 It is completed chairside and is considered a basic dental procedure. Implants are used to replace missing teeth. They are titanium screws that are placed into the bone to help replace missing teeth. The final prosthesis that goes on top of an implant can be either a fixed or removable appliance. 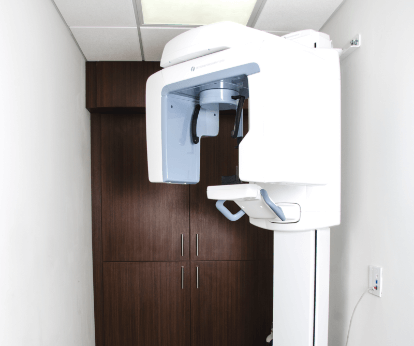 Our clinic is bright, clean and fully digitized. Make an appointment today and we’ll give you a reason to smile!